McLaren’s new Formula 1 CEO Jost Capito might not move over from the Volkswagen World Rally team until the 2016 WRC title is settled. 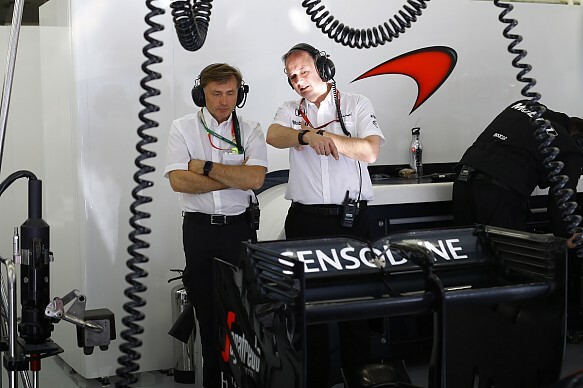 Capito was announced as McLaren CEO in January, but with the proviso that he would not join until a suitable successor was secured as head of VW’s motorsport programs. He said he wanted to be sure VW had a good grip on a fourth straight WRC title before moving, suggesting that it might be Rally Germany in August when that was achieved. “Nothing has changed on this, I will go when we have a successor in place and when the championship is in a good condition,” he told Autosport. “The championship is in a good condition now, but maybe in Rally Germany it could be in the condition where we are in the position that we are unlikely to lose. And by that stage we should have the successor in place. Though Hyundai’s Thierry Neuville won the latest WRC round in Italy last weekend, VW extended its manufacturers’ championship lead over its Korean rival to 70 points thanks to Jari-Matti Latvala and Sebastien Ogier’s podium finishes. Ogier holds a 64-point cushion in the drivers’ battle. Capito said the rules revolution and increased competition coming in the WRC next year raised the stakes in VW’s hunt for his replacement.